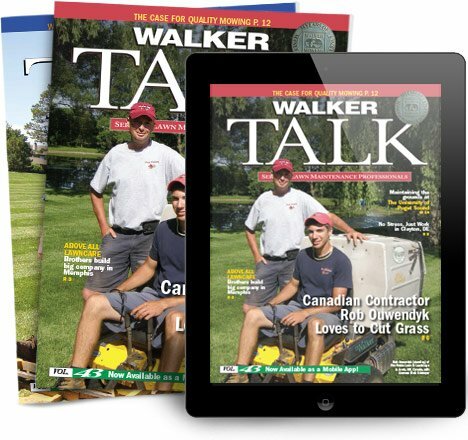 Family-run company was first in Western Canada to own a Walker. When Laura Breeze and her family moved from New Zealand to Calgary in 1977, landscaping was the furthest thing from their minds. Laura was a nursery school teacher, and husband Rex worked as a building operator for a property management firm. When the firm's maintenance contractor failed to show up one week, Rex's boss asked if he knew someone who could mow the lawn. Laura volunteered, and she's been mowing ever since.